Did you know that after a pregnancy, it takes around 6 months to get back to your pre-pregnancy weight? A c-section takes longer to recover from, and sometimes longer to lose the weight as well. After getting a c-section, it’s not safe to exercise for at least 6-8 weeks after the procedure. The best ways to lose weight is through diet, exercise, and breastfeeding. In this article, you will learn about the best ways to lose weight quicker than you thought possible after your c-section. Breastfeeding helps you lose weight because your body burns calories while doing it. It takes a lot of energy to do, and your body works hard to produce the milk. A scientific study posted in the Food and Agriculture Organization of the United Nations called Breastfeeding answers made simple (2010) goes more into depth about why and how breastfeeding aids with weight loss. Breastfeeding mothers can burn anywhere from 250-500 calories a day on average, sometimes even more depending on their weight and how often they breastfeed. You can continue breastfeeding your baby until they are 4-6 months old, and even longer if necessary. Food is such an important part of weight loss. If you’re trying to lose weight, never skip breakfast! Or any other meal for that matter. When you skip meals, your body can go into starvation mode, where it will hold onto everything that you eat. This is because it’s unsure when you will be eating again. It’s better to eat smaller meals with snacks throughout the day if you don’t want to eat 3 large meals. more: Losing Belly Fat After A C-Section: Is It Possible? Make sure to drink lots of water to keep yourself hydrated, and also to flush out toxins and excess water weight. Eat foods that are high in nutrients, low in calories, and high in fiber. The best foods to eat for weight loss are fruits and vegetables, whole grains, legumes, beans, nuts, seeds, and root vegetables. These foods are naturally low in calories, are full of all the vitamins and minerals you need, and they contain lots of fiber to keep your digestive system healthy and working smoothly. When you are trying to lose weight, it’s best to stay away from processed foods as much as you can. This includes candy, chocolate, baked goods such as cookies and cakes, fast food, and fried food such as fries and chicken nuggets. These foods can be very addicting, and the more you eat them, the more you will crave them. Avoid pre-packaged processed food and try to make your own food from scratch at home, where you know all of the ingredients that go into it. Processed foods are full of empty calories that are nutritionally inadequate, and sugar that contributes to blood sugar spikes and weight gain. Fried foods and fast food contain high amounts of fat that your body will likely hold onto, and processed foods usually contain no fiber and are very hard to digest. Find healthier alternatives made out of whole foods to enjoy instead. A c-section can be extremely hard on your body. The healing and recovery process will be different for everybody. It’s dangerous to do high intensity or even moderate exercise too soon after a c-section. It can interfere with the healing process and do more harm than good. 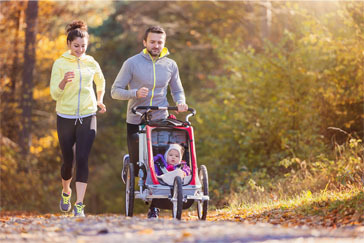 Walking is a good low impact exercise to do, and you can do it with your baby as well by pushing them in a stroller. In addition to walking, there are many stretching exercises you can do, including yoga. Yoga is great because there are so many low-intensity yoga poses you can do from the comfort of your home. One important thing to remember about exercise is you don’t want to create too much of a caloric deficit. The reason why is because your body still needs enough energy to be able to make an adequate supply of breast milk. Make sure that your caloric deficit is no more than 500 calories a day so you don’t run into any problems with breastfeeding. Six months may seem like forever when you want your body back, but remember time goes by faster than you think. It’s what you do with that time that counts. The better your diet is and the more you make time for the exercises suggested here, the greater your chances of reaching your pre-pregnancy weight and shape will be. Stick to a healthy diet full of whole foods with lots of nutrients. Avoid unhealthy, processed foods in your diet. Talk to your doctor before attempting any exercise routine. Add in exercise slowly, and give your body ample time to recover. After getting a c-section, it’s NOT SAFE TO EXERCISE for at least 6-8 weeks after the procedure. Is This Saying After The 6 Weeks Its Okay To Exercise ? If Not How Can You Say Exercising Is Bad Until Your 6-8Weeks Are Up, But Make A Follow Up Saying To Lose Weight You Need To Exercise. i’ve had a c-section months ago and i haven’t been working out since because i’m too afraid of causing more pain. but after reading this, i think i can start planning on a new workout plan. wow, this made me really excited to try and exercise again soon. thanks! definitely avoid eating processed foods and switch to more veggies and fruits. having a c-section makes it harder to go back to your pre-pregnancy body. it’s good that you keep a healthy and balanced diet before diving to exercises. i will absolutely do these! i’ve never felt good about myself again after gaining so much weight from my pregnancy. i’ll try these and hope they’ll work for me. always say NO to processed foods. these will not give you any nourishment especially your baby. this is really awesome! thanks for supporting moms like me who do not really have the luxury to work out. avoid processed foods and replace them with healthy snacks. not only good for you but for the baby too! c-section is big deal, no need to rush things because it is more important that your wound heals first before anything else. definitely worth reading. after giving birth, you get this feeling of depression because of the changes that your body goes through..
wow, this is just the perfect read for me. thanks! i will definitele be doing this once permitted by my doctor. You need to eat healthy foods that are lean- vegetables, greens, rice, beans, etc. And you need to keep exercising to stay healthy too. Mummy magic tea helps with weight loss. It has lots of benefits for health and weight loss. You should drink 2-3 cups of this tea each day to improve your health and get close to lose weight. these will surely help me once i’m ready for my usual workout. wow, this is amazing. i’m a new mom and now i really appreciate posts like this. 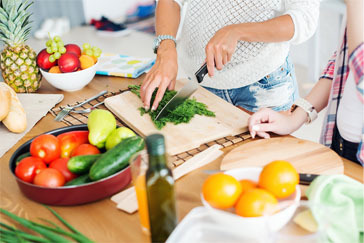 always choose a healthy diet, not only for yourself but for your child too. i really think these are going to help. this is very helpful, way to go! processed foods aren’t gonna do you any good. aside from the harm it can do to your body, it does make you gain weight too. always stick to a healthy diet especially if you’re breastfeeding your baby. thanks for this post, i think i can do these tips!